Do you need funding, or know someone who does, for artistic, cultural or educational endeavors? 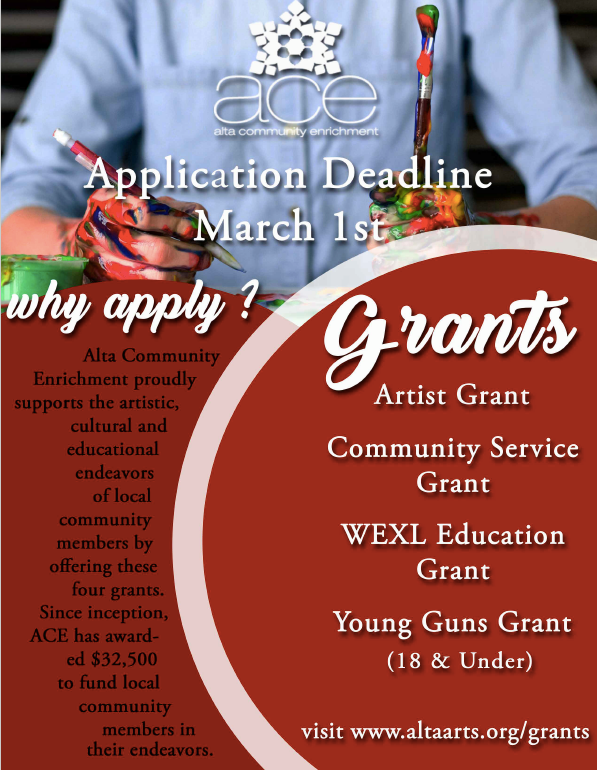 Apply for an ACE Grant by March 1st. Since 2007, ACE has granted over $32,500 in funds to community members for Art, Culture, Education and Community Service Grants. Each grant awards $1,000-$1,500 every year on April 1st. 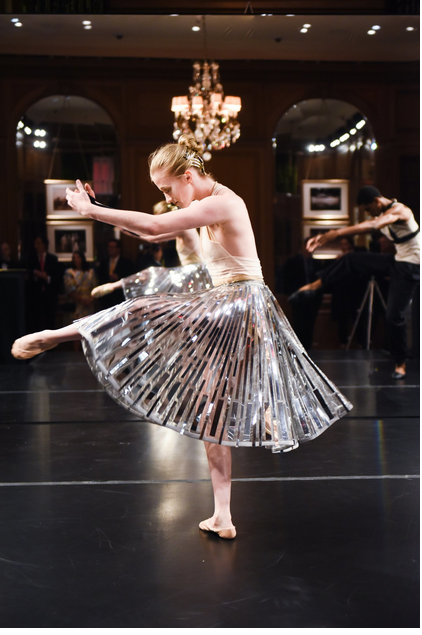 Baily Jones, at age 12 & 13, received two ACE Grants to pursue her passion for ballet. In 2009 she was awarded the Artist Grant to attend the summer course at The School of American Ballet. In 2010 she was awarded the WEXL Education Grant to attend Houston Ballet's Summer Course, Houston Ballet is the 4th largest Ballet Company in the USA. Interested in what has been funded?